Sterling silver ring by Shrieking Violet. 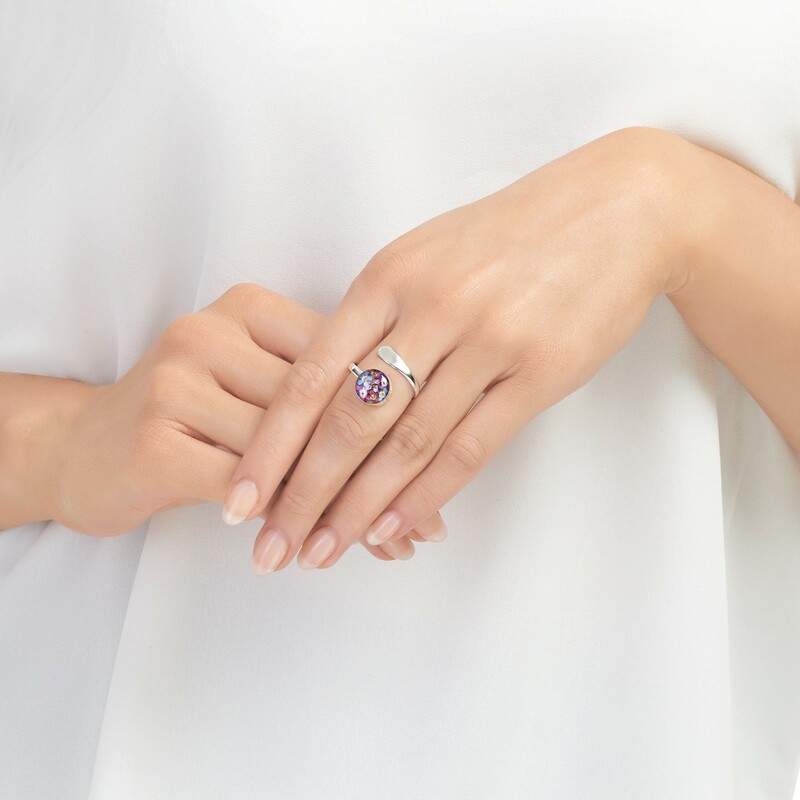 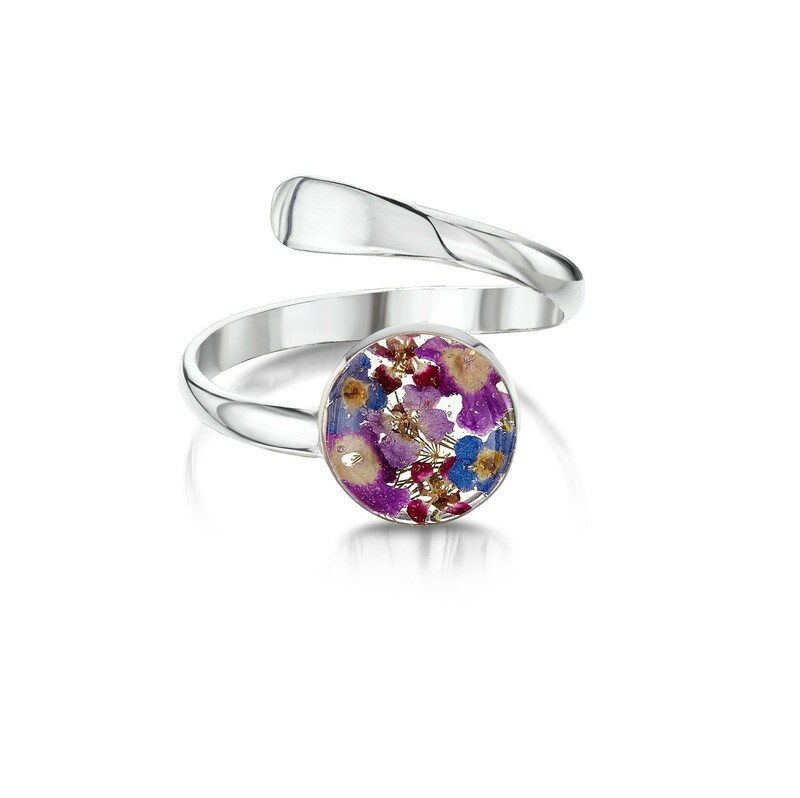 Made with tiny delicate real forget me nots and violet flowers carefully preserved in resin this pretty sterling silver ring is adjustable too so no need to worry about ring sizes, one size fits all making gift buying even easier! Presented in a stylish gift box.